You love to golf. You live to golf. You want to spend an entire vacation doing nothing but playing golf. And there are lots of golf vacation packages that can make it easier for you to do just that. You can set up your own golf vacation, of course. But a package can handle many of the details, and maybe save you money in the process. Vacation packages are available almost anywhere in the world. Many resorts have world-class golf courses and offer packages that include rooms as well as greens fees. If you want to get professional instruction for improving your game, consider a package through a golf school. You may even be able to sign up for instruction with your spouse or your children. Decide where you want to go, and when. 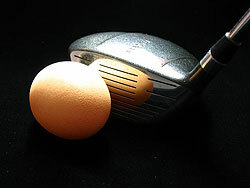 Golf meccas like Hilton Head or Arizona have packages available virtually any time of year. If you want to play in less-temperate climates – for example, if you dream of experiencing the links in Scotland – the weather may be more of a factor in scheduling your trip. A golf school package also may be available only at certain times. What if some of your traveling companions do not like to golf or do not want to golf as often as you do? There are lots of resorts that offer diversions for the non-golfer, such as spas, shopping and sightseeing. Many also have children's programs to make sure the kids have as much fun on your golf vacation as you do. With the wide variety of choices available, you should be able to please all the people at least most of the time. Because there are so many choices, you may need help sorting through your options. There are travel agencies that specialize in serving golfers. You also can search online for "golf vacations." The search will lead you to many resorts, golf schools and agencies that handle vacations near and far. Whenever you are making travel plans, especially online, be a little wary. If you are dealing with an agency or a golf school, don't be shy about asking questions. How long have they been in business, how did they develop this expertise, do they provide references, do they offer a guarantee if your vacation does not turn out as promised? You also may be able to visit the Web site of the hotel where you will be staying or the course you will be playing. But once you have done your homework and decided on a package, just relax -- and head for the driving range to hit some warm-up buckets.